1. Chen-Chung Chang, Shao-Yi Hsia and Hung-Di Huang, 2018, “Improvement on CNC Drilling Quality Using Vibration Suppression Fixture,” 2018 IEEE International Conference on Applied System Innovation (IEEE ICASI 2018), April 13-17, 2018, Chiba, Tokyo, Japan, No. J180944. 5. Shao-Yi Hsia, Yu-Tuan Chou and Yu-Hsiang Su, 2017, “Application of Computer Analysis on Prediction of Fastening Forging Force,” 2017 International Conference on Innovation, Communication and Engineering (ICICE 2017), November 5-11, 2017, Kunming, Yunnan Province, P.R. China, No. C170210. 6. Shao-Yi Hsia, Yu-Tuan Chou, and Yi-Jhe Li, 2017, “Design optimization on flat-die rolling process of deck screw,” 2017 IEEE International Conference on Applied System Innovation (IEEE ICASI 2017), May 13-17, 2017, Sapporo, Japan, No. 0770. 8. Shao-Yi Hsia, Yu-Tuan Chou, 2017, Yu-Wei Liu, and Ling-Yu Hsu, “Measurement of Wisdom Forging Force Using Piezoelectric Materials,” 2017 International Conference on Precision Machinery and Manufacturing Technology-ICPMMT 2017, May 19 - 21, Kenting, Taiwan, No. 5. 11. Shao-Yi Hsia, Wen-Bin Huang, Chen-Chung Chang, 2016, “Study on metal cutting improvement of CNC multi-axis machine using vibration platform,” Accepted by International Multi-Conference on Engineering and Technology Innovation 2016 (IMETI2016), October 28-November 01, 2016, Taichung, Taiwan. 12. Shao-Yi Hsia, Guan-Fan Lu, Shuo-Kai Pan and Yu-Tuan Chou, 2016, “Forming analysis of sheet metal tapping screw using numerical method,” 2016 IEEE International Conference on Applied System Innovation (IEEE ICASI 2016), May 28-Jun 1, Okinawa, Japan, No. 0537. 13. Yu-Tuan Chou, Bi-Wen Lee, Cheng-Hsuan Lan, Shao-Yi Hsia, 2016, “Study on Indoor Air Quality of a Small Office Environment Using Numerical Simulation,” 2016 IEEE International Conference on Applied System Innovation (IEEE ICASI 2016), May 28-Jun 1, Okinawa, Japan, No. 0633. 14. Hsin-Yi Shih, Yu-Tuan Chou, Wen-Bin Gong, Shao-Yi Hsia, 2016, “Computer Simulation on Thermal Comfort Assessment of an Indoor Space with Water Cooling Fan,” 2016 IEEE International Conference on Applied System Innovation (IEEE ICASI 2016), May 28-Jun 1, Okinawa, Japan, No. 0632. 18. Shao-Yi Hsia, Yi-Zhe Lis and Yu-Tuan Chou, 2015, “High strength bolt de-phosphate to avoid delayed fracture,” 2015 International Conference on Innovation, Communication and Engineering (ICICE 2015), Oct. 23-28, Xiangtan, Hunan, P.R. China, No. 1865. 19. Yu-Tuan Chou and Shao-Yi Hsia, 2015, “Enhancement on rendering of architectural design visualization by pc cluster system,” 2015 International Conference on Innovation, Communication and Engineering (ICICE 2015), Oct. 23-28, Xiangtan, Hunan, P.R. China, No. 1867. 20. Yu-Tuan Chou, Shao-Yi Hsia, Bi-Wen Lee, and Hsin-Yi Shih, 2015, “3D Model reconstruction of building indoor space based on computer vision,” 2015 International Conference on Innovation, Communication and Engineering (ICICE 2015), Oct. 23-28, Xiangtan, Hunan, P.R. China, No. 1923. 21. Shao-Yi Hsia, Yu-Tuan Chou and Shuo-kai Pan, 2015, “Computer Simulation for Flat-die Thread Rolling of Screw,” 2015 International Conference on Innovation, Communication and Engineering (ICICE 2015), Oct. 23-28, Xiangtan, Hunan, P.R. China, No. 2037. 22. Shao-Yi Hsia, Chen-Chung Chang and Yu-Tuan Chou, 2015, “Tool analysis in multistage cold forging of special shaped nuts,” International Multi-Conference on Engineering and Technology Innovation 2015 (IMETI2015), October 30-November 03, Kaohsiung, Taiwan, No. J5024. 23. Shao-Yi Hsia and Yu-Tuan Chou, 2015, “3D Printing technique applied to cold forging processes of special fasteners,” 2015 International Conference on Applied System Innovation (ICASI 2015), May 22-26, Osaka, Japan, No. 1298. 24. Shao-Yi Hsia, Shiuh-Kuang Yang, and Yu-Tuan Chou, 2015, “Biolipid extraction from chlorella enhanced by ultrasound exposure and light,” 2015 International Conference on Applied System Innovation (ICASI 2015), May 22-26, Osaka, Japan, No. 1293. 25. Hsin-Yi Shih, Yu-Tuan Chou, Luo-Jyun Lin, and Shao-Yi Hsia, 2015, “Design Improvement for Acoustic Comfort of a small indoor space,” 2015 International Conference on Applied System Innovation (ICASI 2015), May 22-26, Osaka, Japan, No. 1566. 26. Shao-Yi Hsia and Yu-Tuan Chou, 2015, “Enhancement on 3D model construction of corroded pipeline using solid parametric design approach,” 2015 International Conference on Applied System Innovation (ICASI 2015), May 22-26, Osaka, Japan, No. 1567. 27. Yu-Tuan Chou, Shao-Yi Hsia, and Po-Yueh Shih, 2015, “Interference of die equipment for hexagonal flange nut forming process,” The 1st International Conference on PMMT, May 22-24, Kenting, Taiwan, No. 21. 28. Hsin-Yi Shih, Yu-Tuan Chou, Shao-Yi Hsia, and Bi-Wen Lee, 2015, “Thermal comfort evaluation of container house using thermal admittance simulation process,” The 1st International Conference on PMMT, May 22-24, Kenting, Taiwan, No. 19. 29. 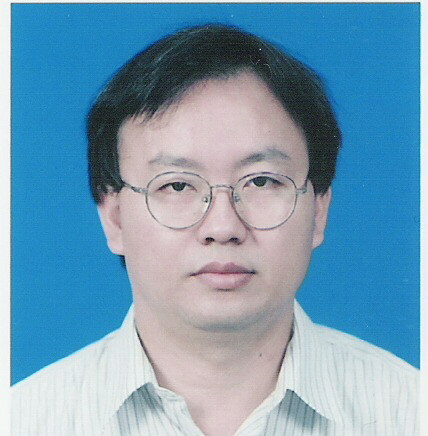 Han-sung Huang, Shao-Yi Hsia, Yu-Tuan Chou, and Yuan-Chen Yu, 2015, “Fracture characteristics analysis of pressured pipeline with local metal loss using numerical method,” The 1st International Conference on PMMT, May 22-24, Kenting, Taiwan, No. 25. 5. Forming Analysis of Sheet Metal Tapping Screw Using Numerical Method, 2016, Best conference paper award, 2016 IEEE International Conference on Applied System Innovation (IEEE ICASI 2016). 6. A Hybrid Approach on Multi-Objective Route Planning and Assignment Optimization for Urban Lorry Transportation , 2016, First prize paper award, 2016 International Conference on Innovation, Communication and Engineering(ICICE 2016). 7. A Hybrid Approach on Multi-Objective Route Planning and Assignment Optimization for Urban Lorry Transportation, 2016, First prize paper award, 2016 International Conference on Innovation, Communication and Engineering(ICICE 2016). 9. High strength bolt de-phosphate to avoid delayed fracture, 2015, Best conference paper award, 2015 International Conference on Innovation, Communication and Engineering. 10. Computer simulation for flat-die thread rolling of screw, 2015, Best conference paper award, 2015 International Conference on Innovation, Communication and Engineering. 17. Enhancement of microalgal growth with biomechanical stimulation, 2014, Best conference paper award, 2014 International Conference on Advanced Materials for Science and Engineering (ICAMSE 2014). 18. Analysis of long hex flange nuts using finite element method, 2014, First prize paper award, 2014 International Conference on Innovation, Communication and Engineering. Applied Sciences, technologies, Journal of Basic and Applied Research international, Journal of Advances in Food Science & Technology, Current Journal of Applied Science and Technology等期刊. Asian Journal Advanced Research and Reports.